This isn't anything official, btw. This is just what Michael Kirkbride had planned for the lore of TES if he was still a part of its design. He isn't, so this is little more than headcanon or fancanon now. Yes. I still think it is pretty interesting nevertheless. Done reading it. I'm bemused, mainly because, as Musicman said, this is fanon. And fanon which has diverged substantially from the established, official TES world. Conversations on this should be exclusive. This has made abundantly clear to me that Landfall, coda, loveletter; all this stuff has no more weight than any other fan fiction, and conscientious and smart contributors out there will not mislead newer contributors into thinking otherwise. MK can make coda open source all he wants to. But it's not TES anymore; it's a separate thing. I'm saying this just to make clear to people that if they attempt to mix the two on the lore forums and start answering honest TES inquiries with coda jargon, they should expect to be met with derision. Not insults or personal attacks, but derision, yes, because they might as well be citing to these stories. There's some symbolism and implications I noticed which may speak to larger truths about the TES-verse, but they are buried under nonsense. And this is not just me; MK's note for illustrators at one point explicitly says it "doesn't have to make sense". I'm not trying to hate on coda. It's interesting to me. But if and when people try to elevate it, make it something more than what it is and offer it as truth, they shouldn't be shocked when I essentially call them liars. Long story short, "everything will be answered" was a promise this doesn't live up to. Whatever "answers" he has provided are generally obscured and intentionally cryptic, and I don't have time for this. Most "answers" won't really come until he's had a Q&A, and then probably a few more Q&As to explain the first Q&A. C0DA is about doing away with the idea of canon. It's about codifying and aesthetically enshrining a principle of interpretation that says you can believe what you want about a fictional world, if you think it's more interesting and fun that way. It's a narrative declaration of the open-source lore remark he made months ago. And I like it just fine, for many reasons, not the least of which is the fact that it doesn't even remotely threaten or erase the view that obscure lore texts are not part of the game world, because it's literally just a statement of "to each their own," Bethesda included. Exactly. To each their own. Forum. Even referring to them as "Obscure Texts" is misleading. They are not obscure texts in the Elder Scrolls universe, they are non-existent in the Elder Scrolls universe. 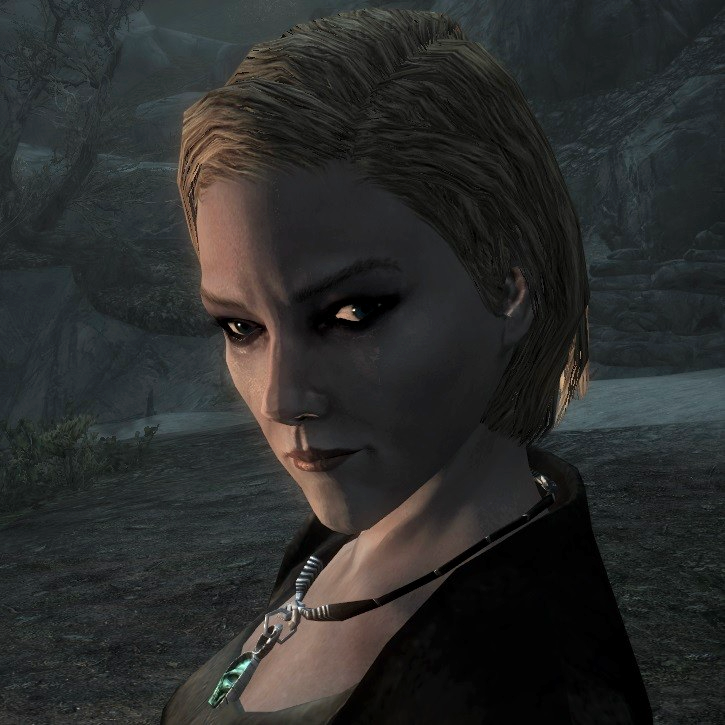 Involving them in a TES lore discussion is akin to relying on facts adduced from In the Aeroplane Over the Sea to comment on Anne Frank and her diary. Some or all of those songs may be related to Anne Frank, sure, but they're just irrelevant flights of fancy when you're talking about the real deal. I like In the Aeroplane Over the Sea, and I like the ex-developer TES texts. But I don't like others giving someone else the impression something is factual when it's not. And since misinformation on the forums often leads to bad edits on the wiki, I have a legitimate interest in not tolerating the appearance of equating coda with actual TES lore. ^^^^ Thank you. It needed to be said. Also, Marelo, I know you said you weren't looking for debate (why post on the forums if you're not attempting to initiate discussion?) and you don't have to reply, but I would like to comment. I completely disagree with the idea of C0DA and what you're encouraging. I mean, certainly it is fine for people to take what they will, but presenting the ideas on a forum or attempting to spread them as if they're factual is just silly. Certainly you can "believe what you want," but completely discarding the canon and saying that's completely okay to do simply because you don't like something doesn't make sense. You can't say "'to each their own,' Bethesda included." The lore is still the lore, canon is still canon, whether you or other fans of this idea say it is or not. It is fine to have your own interpretations. It isn't fine to ignore facts. Fanfiction is fanfiction, no matter who writes it or by what name you call it. I have to say that I do agree. I like to read it but it has a lot of the "it's better than fanon because it's MK." Which isn't the best. One of the fun things about telling a story to someone else is to later hear them re-tell it in their own words. And it will be boring if it sounds exactly the same. Well said. Again, not trying to hate. Just essentially saying why I think conversations about it would be best suited for The Arts sub-forum. If anyone's offended by my calling it "nonsense," define it as "extravagantly stylized subjective prose." For what it's worth, this is something MK put forth about the topic of whether the game creators take C0DA seriously. The conversation is ongoing as of the time of this post. For my part, still not interested in debating this (just seems pointless; in the end I'd just be arguing that you have the right to say for yourself what sources you take seriously about a fictional world, which is what you're doing already anyway). But I thought you might like to know about the development. I'm not sure how much overlap this community has with teslore. I regret having made this post, and wish for a moderator to remove it. Last edited by Marelo on Mon Feb 24, 2014 9:23 pm, edited 1 time in total. Last edited by Minor Edits on Mon Feb 24, 2014 10:06 pm, edited 1 time in total. It's mentioned in The Living Gods that Sotha Sil is "God of the World-Mechanism". Might be a nod to c0da, assuming they were privy to it before it was released. Certainly dove-tails nicely with the whole Nirn-as-machine concept regardless. Here's a question. Something I've been wondering for ages, having come to the Elder Scrolls fandom after it had already been going for years. Why exactly is MK revered as some sort of guru and spiritual leader by fans when he hasn't worked for Bethesda since Morrowind times? (Yes, I know he also wrote the story for Knights of the Nine, but that was under contract rather than as an employee). Most of his contributions to the Lore are absolutely brain-breaking. I mean, Pelinal Whitestrake coming from the future in a spaceship? And this, unlike CoDA, really is official game canon. Whaaa? And the Sermons of Vivec read like the effects of a hallucinogenic drug trip. Is it simply because he's the only person associated with story-writing who is able to talk freely to fans, since people who are still employed by Bethesda are bound by NDAs? Is it that his crazy and brain-breaking ideas inspire people somehow? I just don't quite get why this ex-employee is treated like the Tenth Divine by a certain segment of the fan population. And this is a genuine question, not an attempt to cause a flamewar. (I'm too old for flamewars). Much of the lore in the TES-verse wasn't established until Morrowind, and much of Morrowind's most world-defining lore was Michael Kirkbride's work. He provided much of the framework which the games are still building upon over a decade later. The lore on various pantheons of gods, for example, have been and will undoubtedly continue to be very important, and they were largely his creations. His continuing contributions, while limited, have been very important (Mankar's commentaries, The Song of Pelinal, etc. ), and many of the concepts he has expounded upon out-of-game continue to be incorporated into the lore. ESO was the first game I'm aware of to make reference to "untime" events, a concept which first appeared in Kirkbride OOG. He has been relatively interactive with fans and prolific in his TES-based writings, yes, so he continues to draw an inordinate amount of attention, but it's not necessarily unjustified attention. Thanks for the answer. Perhaps it should be added to the wiki, because his article doesn't go into anywhere near that level of detail. Do we know why he quit Bethesda, if his work was so important in the story-writing process? Fell out with someone in the management? Personal reasons? Offered more money somewhere else? It's not exactly clear what he does these days apart from write this C0da thing and talk to fans. I've been wondering how he plans to monetise it ever since I heard it was supposed to be "open-source" Lore. The General namespace on UESP gets very little attention. People basically "set it and forget it." There probably wouldn't even be a link to c0da on there yet if I hadn't added it a few days ago. Kirkbride's ongoing relationship with Bethesda is a complete mystery to me; I could only speculate wildly. They give all outward appearances of being friendly with each other, as far as I know. Kirkbride occasionally mentions conversations he's had with the higher-ups in charge of TES, and Zenimax saw fit to add a Kirkbride-inspired location to ESO, and seem to have mixed in one or two nods to c0da. A location with the word "antlers" in it doesn't (to me) mean they named it after him just because he currently calls himself an elk. That seems like a stretch. Anyway, the conversation is getting a bit off topic, so let's stick to C0da itself and if you want to talk about MK we can make a thread in The Arts.